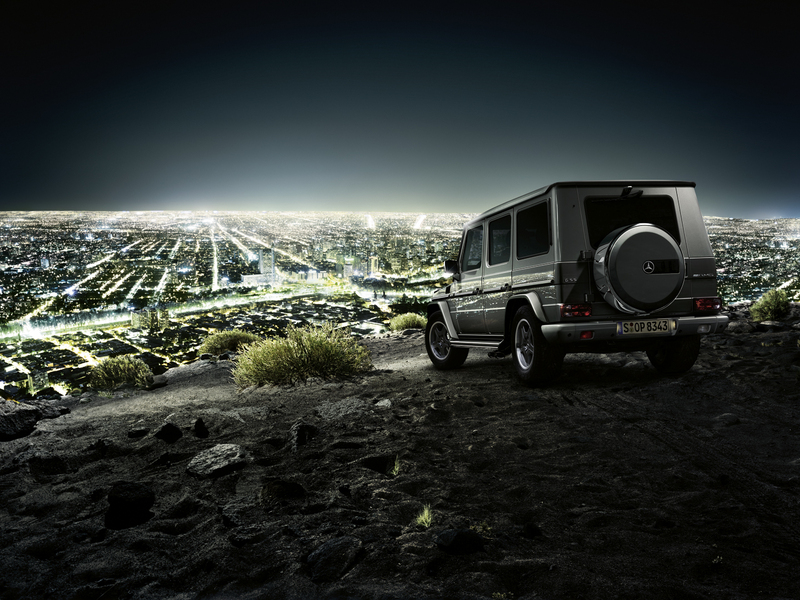 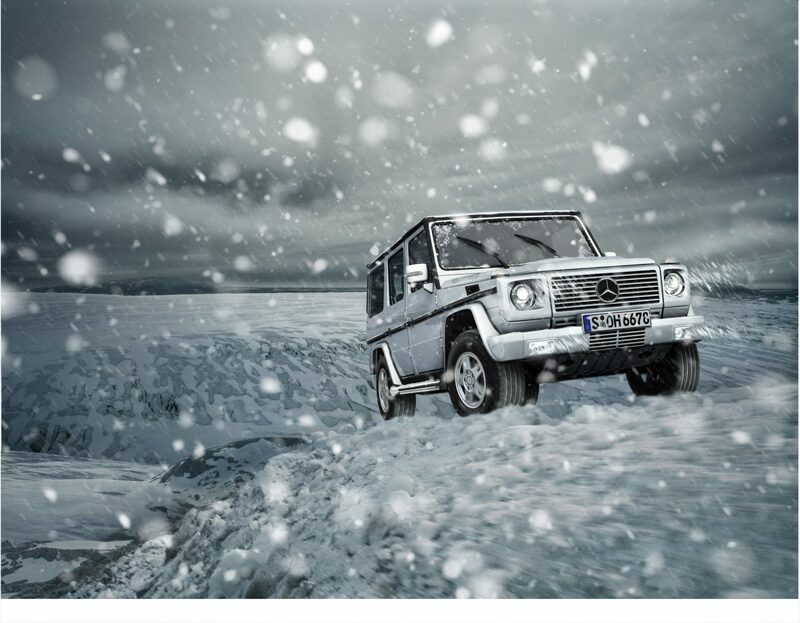 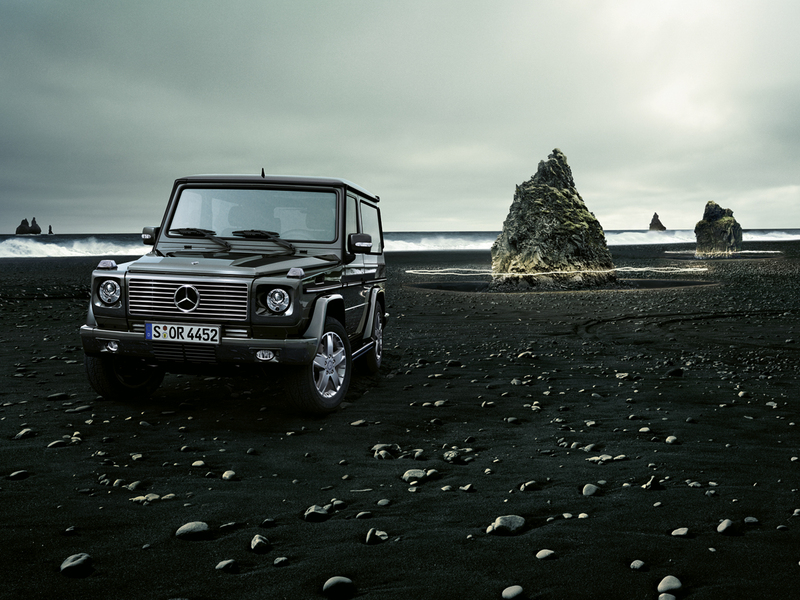 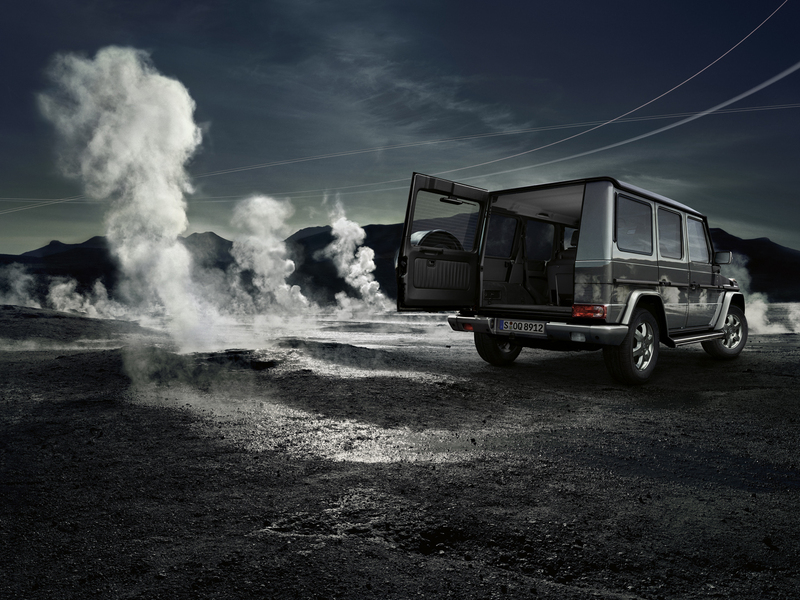 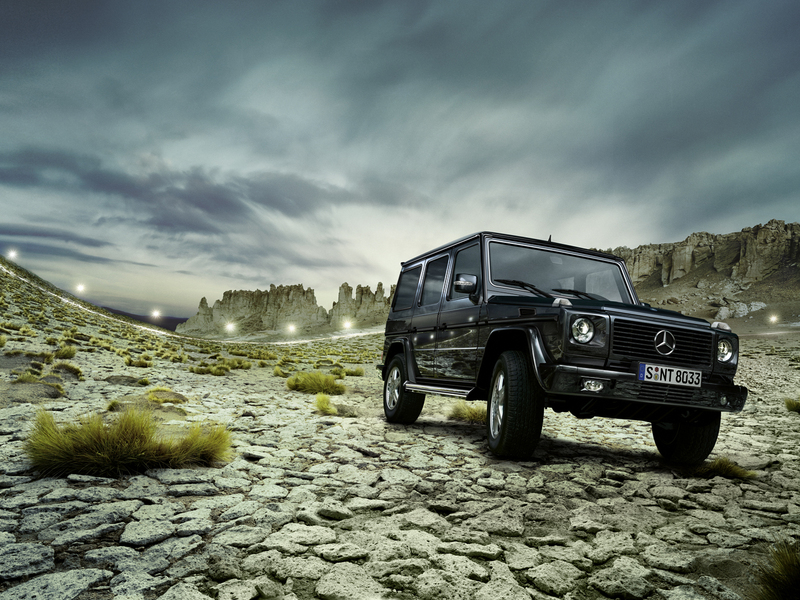 The G-class is a true off-road vehicle, high class and very sophisticated. 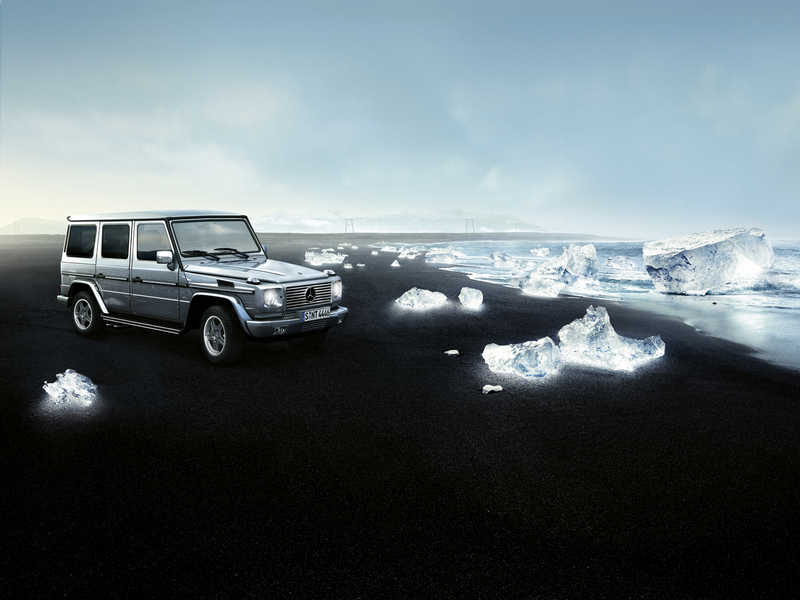 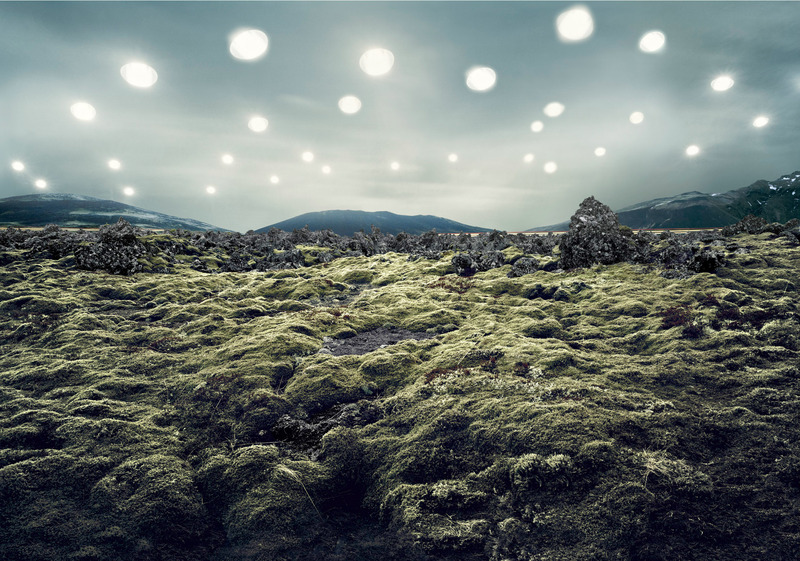 So we decided to emphasize the possibilities this vehicle offers you with surreal settings –shot in Iceland and Chile. 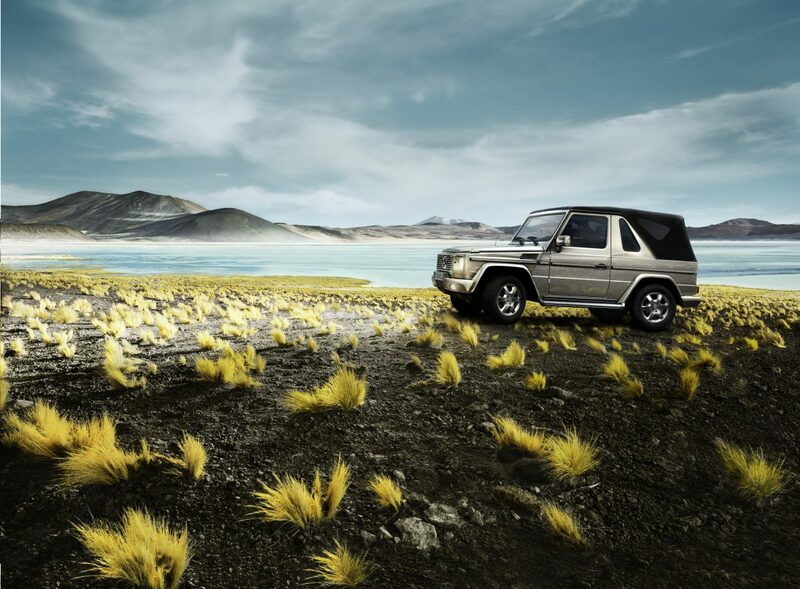 It was the very first CGI-shooting for a Mercedes-Benz catalogue and campaign.